Super Eagles break out star, Samuel Kalu has, according to reports, landed himself in trouble with FC Girondins Bordeaux after he failed to report from International duty with Nigeria. The winger was expected to report at Haillan on Thursday morning to prepare for the Girondin’s match against Dijon on Saturday but failed to show up or inform club officials of his whereabouts. Displeased at the 21-year-old’s late arrival, a club official said Kalu would be frozen out of this weekend’s Ligue 1 action as a disciplinary measure. “The club is not happy with Samuel Kalu over his failure to report for Thursday’s training session. We expected him latest by afternoon but he has not communicated to any official of his whereabouts.” staff of the Girondins said. 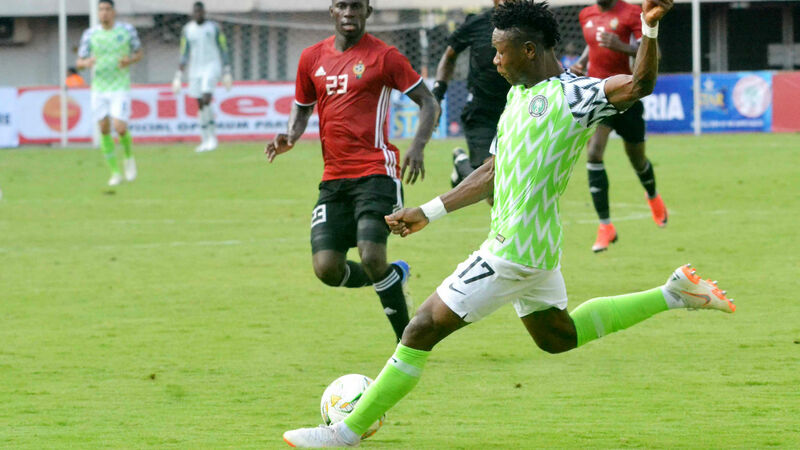 Kalu saw full-time action in the 2019 AFCON qualifier against South Africa with an excellent display in an unfamiliar wing-back role, and also came on as a second-half substitute in international friendly against Uganda on Tuesday.